Of the three rhubarbs plants we put in last spring, only one survived the flooding, but it is coming up very nicely and this weekend we’ll plant two or three more. 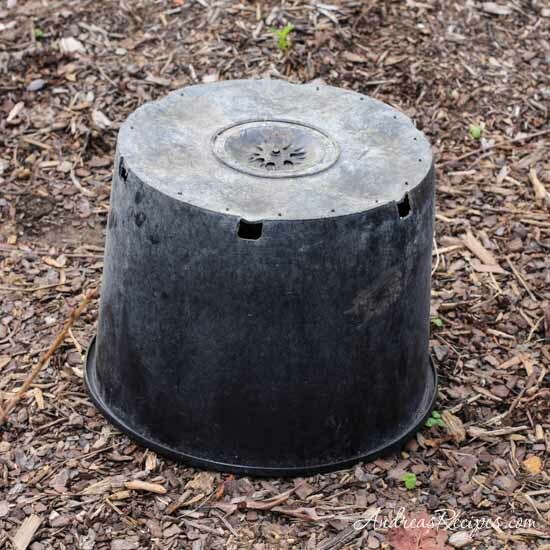 As soon as the leaves sprouted we inverted a large planter over it, a technique that encourages longer stems, and so far we are very pleased with the results. And of course we’ll be very happy to cook with those long tasty stems, especially with the fruits of these little plants growing nearby. I love your gardening posts. Gardening/landscaping/hardscaping is a real passion of mine, and I like to live vicariously through your gardening experiences. I also LOVE rhubarb, especially when perfectly paired with strawberries! survived looks like it has a wonderful start. Great tip, and be generous with manure as well. Great trick for longer stems! Wonder if that would work for chard, as well…they’re in the same family. Gonna try it, anyway. I love the leaves, but also enjoy the crispy stems in some meals. Thanks for sharing. and we had a huge patch of rhubarb. I would love to have some in Hernando County, Fl. Hi Mona. 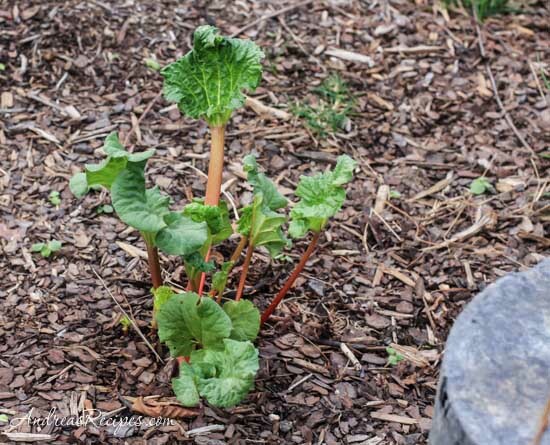 Rhubarb needs a couple months of cold weather, below 40 degrees Fahrenheit, in order to thrive. 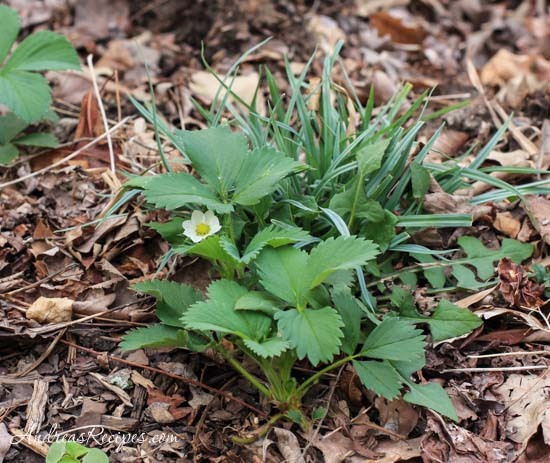 If your winters are very mild, you can try growing it as an annual by planting from seed. I found instructions in a booklet from UC Davis, http://ucce.ucdavis.edu/files/repositoryfiles/8020-54094.pdf. Good luck!